Our specialists are 100% devoted to their passion. 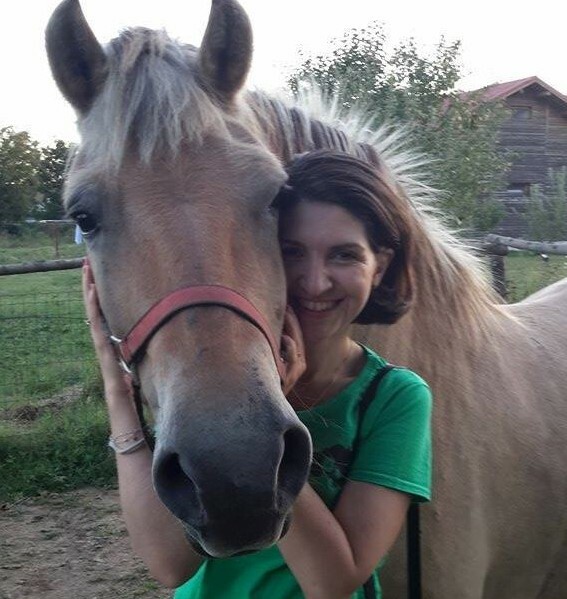 My name is Erika Weisz, I am a physician and physiokinetotherapist, I have been practicing hippotherapy in Romania since 2012. I found my passion for horses at a small age, and in recent years I have found myself in the field of medical rehabilitation. To my delight I managed to combine these two passions through hippotherapy. I love working with horses, I love to help children, and I firmly believe that every child deserves at least once to see the world from horseback. 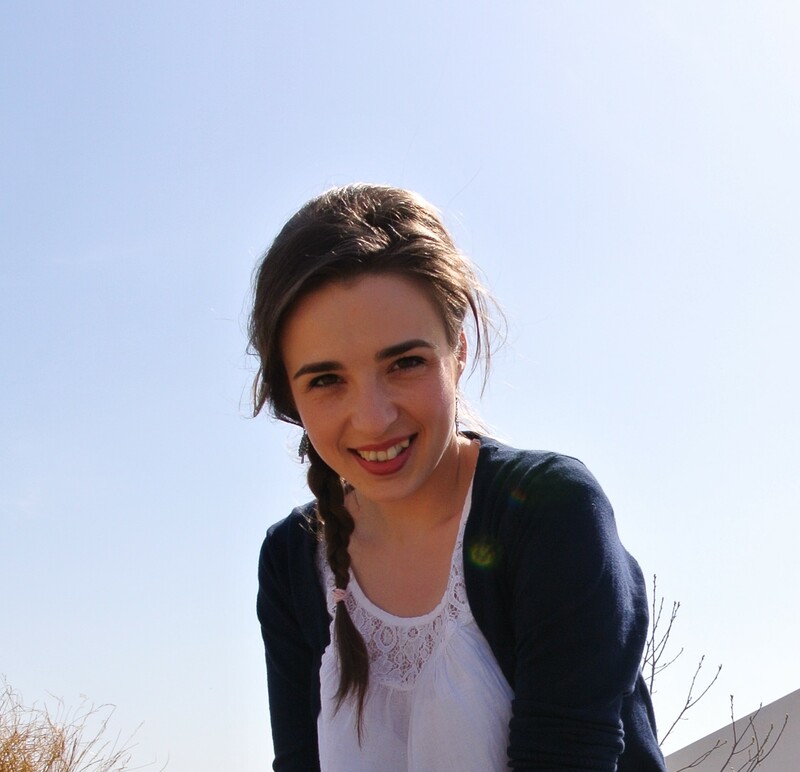 My name is Amalia Axentie, I am a clinical psychologist and psychotherapist, I love nature and working with children. 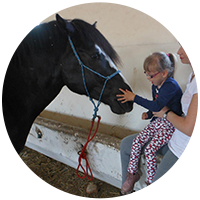 By hippotherapy I manage to offer a different framework to psychotherapy sessions and to combine the beneficial effects of the different techniques to help children. My name is Camelia Blaga, I am a clinical psychologist and psychotherapist. I have been working with children since 2010 and through hippotherapy I discovered that nature has provided us with unsuspected resources and that it is important to capitalize them. The horse is one of those precious natural resources, able to give children besides the psychomotor beneficial effects, those moments of joy, victory and that smile that gives you power to keep going no matter how hard it may be. My name is Ioana Leahu, I am a clinical psychologist and psychotherapist. My passion for psychology, children and animals made me love hippotherapy. I strongly believe in the therapeutic power of horses to help children to develop, to become more confident and happier! What I love the most about hippotherapy is the friendship, trust and collaboration relationship that develops between the child and the horse, relationship that becomes therapeutic for both the child and the horse. I am a sympathetic Ardennais with personality, born in the Izvin stud farm in 2010 and my destiny would have been to become a cart horse, if Erika hadn’t spotted me. 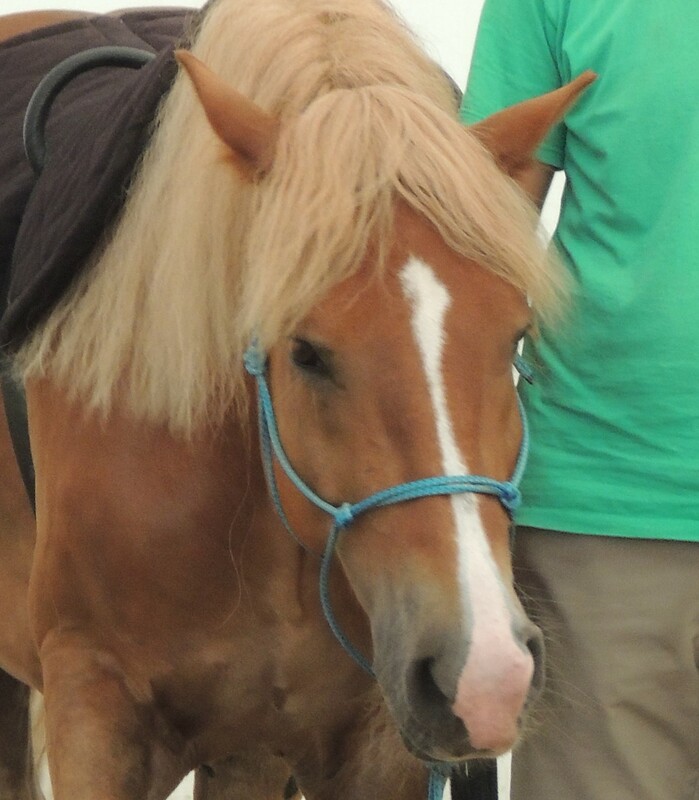 Together with her friends they taught me to trust people, I was trained to be a therapy horse and now I can give my little riders smiles and joy. I am a beautiful and loving Ardennais, born in the Izvin stud farm and I was fortunate to be taught from the beginning through the natural dressage method by my adoptive daddy Tuti. Sometimes I can be stubborn but knowing that I can help children with disabilities I am the most patient therapy horse. So I gained many friends who spoil me with carrots, apples and lots of love. I am not fat, I only heavy bones. I am a gentle horse with a big heart but with a sad history. My first masters used to beat me and they treated me badly but my luck was that I was bought by Florin and he donated me to the horsEmotion Association. Here Tuti taught me through the natural dressage method, that I can trust people and can have a good life with many new friends. For children I am the white horse from fairytales and I enjoy each and every prince and princess who rides me.